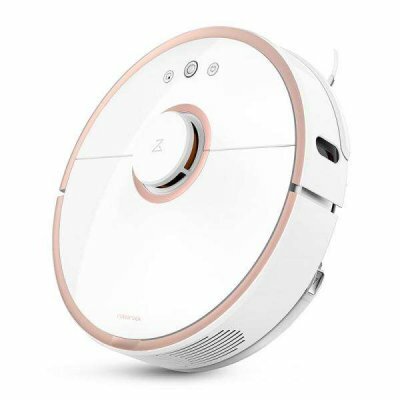 Successfully Added Xiaomi Smart Robot Vacuum Cleaner - APP, 2000Pa Suction, Auto Recharging, Mopping Feature, Intelligent Mapping - RoseGold to your Shopping Cart. With the Xiaomi Smart Robot Vacuum Cleaner, you’ll never have to spend a minute on annoying household cleaning jobs again. This robotic vacuum cleaner can be programmed to clean your house without you needing to lift a finger. Thanks to its smart design, it is capable of working entirely on its own. It additionally supports its own mobile application that allows you to control it from afar. This allows you to tell your robot cleaner to tidy up your home while you’re on your way back from work. From now on, you can be guaranteed that you’ll always arrive home in a clean and fresh household. The Xiaomi Smart Robot Vacuum Cleaner features 2000Pa super suction. This delivers enough power to clean up dust, dirt, and other small objects. With this robotic vacuum cleaner at your side, you can be guaranteed that not a single piece of dirt stays left behind. It features intelligent route planning that makes sure every corning of your home gets cleaned thoroughly. The robotic vacuum cleaner is even capable of climbing over 2cm objects so you won’t have to worry it gets stopped by your carpet or doorstep. Besides vacuuming your floors, this robot cleaner is also capable of mopping and sweeping. This makes it a truly multifunctional cleaning aid that keeps your home spick and span at any time. With a powerful 5200mAh large capacity battery, it gets through 2.5hours of cleaning jobs without needing to recharge. Whenever your robotic vacuum cleaner runs low on power, it will automatically find its way back to its charging dock where it will recharge itself instantly. Thanks to this, you’ll never have to worry about it running out of juice again. The Xiaomi Smart Robot Vacuum Cleaner comes with a 12 months warranty, brought to you by the leader in electronic devices as well as wholesale electronic gadgets..